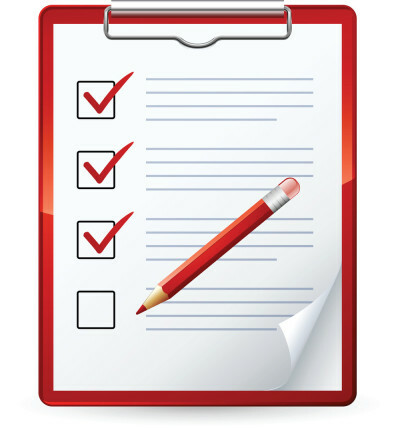 Dental Web Design Checklist - Is Your Website up to Scratch? Good dental websites can cost upwards of $4,000. But before you write that check, why not go through the following checklist to see if you are getting your money’s worth from your website development company. Start with a great looking header with a clear, high quality logo at the top of your website. The website color scheme should be consistent with the header graphic and logo. Have a simple and consistent navigation with relevant pages categorized in suitable sub menus. Ensure that visitors can reach all of your main website pages within 1 click from your home page. Add an easy to find phone number on all pages that is “Clickable” on mobile devices. Add an easy to find contact form to encourage phone-shy patients to contact you. Implement a mobile responsive design or create a separate mobile website since majority of local searches are now taking place from mobile devices. Google is now favoring mobile friendly websites in its search results for mobile devices. Add your street address and operating hours on every page. Create a comprehensive “About” section covering the dentist and staff with their professional qualification, photos and bios, vision/mission statements, press coverage and awards that your dental practice has received. Add high quality images of the actual office to the main pages of your website to avoid unpleasant surprises for patients. Check out Google Street View if you want to create a virtual tour of your dental office. Integrate social media to your website by adding sharing buttons and social network profile links to your website. You may also want to include the latest status updates in the footer or sidebar. Create a comprehensive contact page that includes a map with directions, including opening and closing hours, public transport routes, amenities available at your office, payment options, new patient discount information, new patient forms. Create a separate page for each treatment offered at your office with useful information and resources to educate patients about the various treatment procedures. Improve your dental website’s credibility by incorporating Dentist Association membership logos, years you’ve been in business and license numbers. Incorporate at least one video (ideally more) about your practice on the main sections of your website (either on the home page or about page). Make sure that your website content is easy to read and comprehend for the average high school graduate. Avoid technical jargon where possible and use high quality graphics and animations to explain complex procedures. Implement Schema.org markup on your website to help search engine crawlers identify NAP (Name, Address and Phone) information & patient reviews published on your website. Create an XML sitemap of your website and link to it from all pages. Add price information where possible. Create a separate section for discounts offers and promotions where patients can download and print coupons. Add patient reviews and testimonials on your website. Also embed or link to reviews on 3rd party sites like Yelp.com. Video testimonials are gold! Add web analytics software like Google Analytics to your website to track and record user behavior for analysis. Pay special attention to KPIs related to conversions actions like phone calls and form submissions. Create an FAQ page and answer the most common questions you get from patients. Create a comprehensive payments and financing page to inform patients about all the various financing options, insurance plans and payment plans your dental practice accepts. Ensure your website loads correctly in all modern browsers and devices. Add downloadable new patient forms and make them available from the main navigation. Add a before and after patient gallery to demonstrate your expertise in conducting various dental treatments. If you have pricing and specifications of competitors, create comparison charts and graphics to explain why patients should choose your office. Implement live-chat feature on your website to engage patients and answer their questions on the spot. You can also use the live-chat as a feedback tool by looking at what common questions people are typing in. Then make sure you address those questions on the website. Add online appointment feature and link it to your practice management software. If you have the resources to publish an article at least once a week, consider adding a blog to your website. Alternatively hire a freelance writer to update your blog at least once a week. Having a solid website is necessary for generating new patients online. If your website is missing some of many of the above features, you may want to contact your webmaster to address to these issues. If you are looking for a new dental website do not hesitate to contact us for a free consultation.